We will reward you with CCS Bonus+ fuel card charged with 200 CZK/ 7,7 Euro for every 3 reservations (finished, non-canceled). 1. You will receive the CCS card for 3 reservations that are already finished and were not canceled. 2. The value of each reservation must be at least 200 CZK. 3. All reservations must be properly paid with credit card or Paypal. 4. 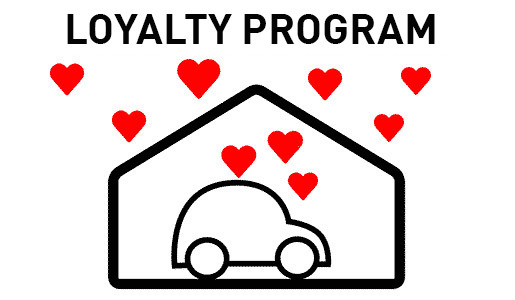 The loyalty program is valid for reservations that take place from 1.1.2018 till 31.12.2018. 5. All reservations must use the same email address. 6. Let us know at info@mrparkit.com once you are eligible and we will immediately send you the CCS Bonus+ card!